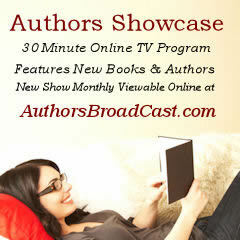 “Authors Showcase” introduces readers to new books and authors. This thirty minute TV show can be seen every Thursday at 8PM on Chicago cable channel 25 (RCN/Comcast) or online at http://authorsbroadcast.com anytime. Watch a recent episode right now.